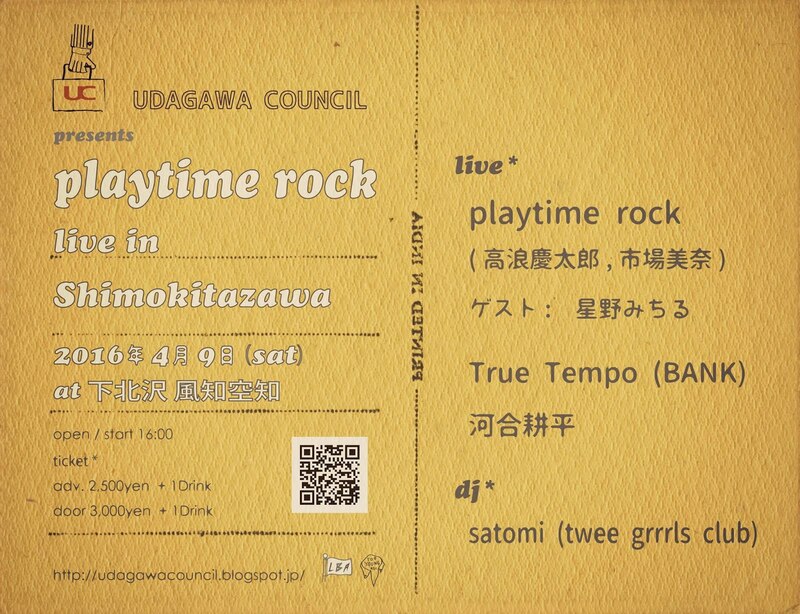 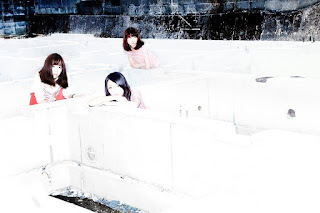 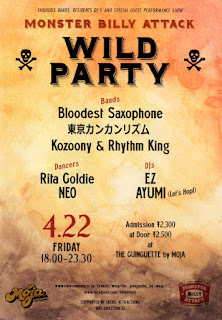 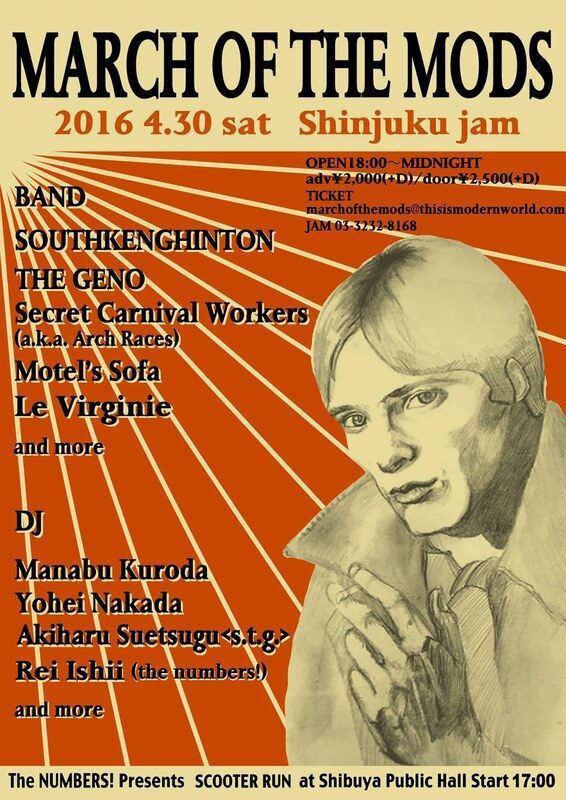 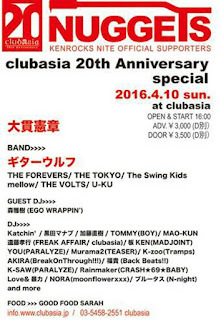 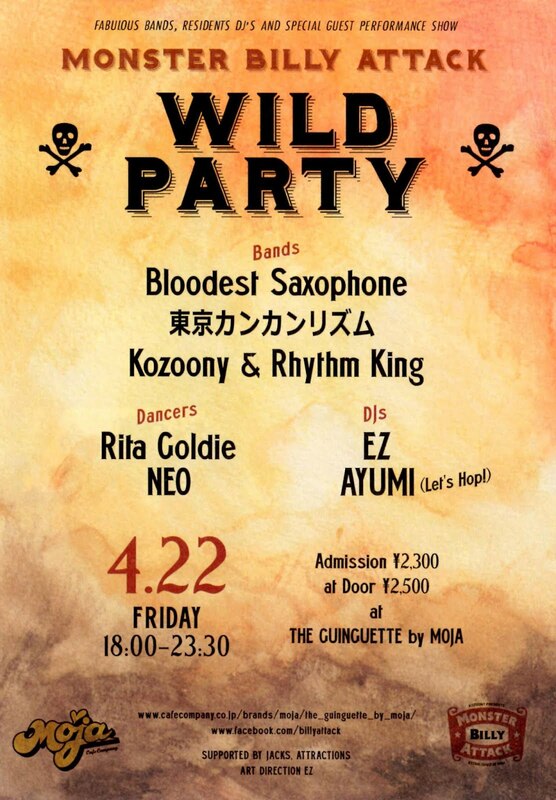 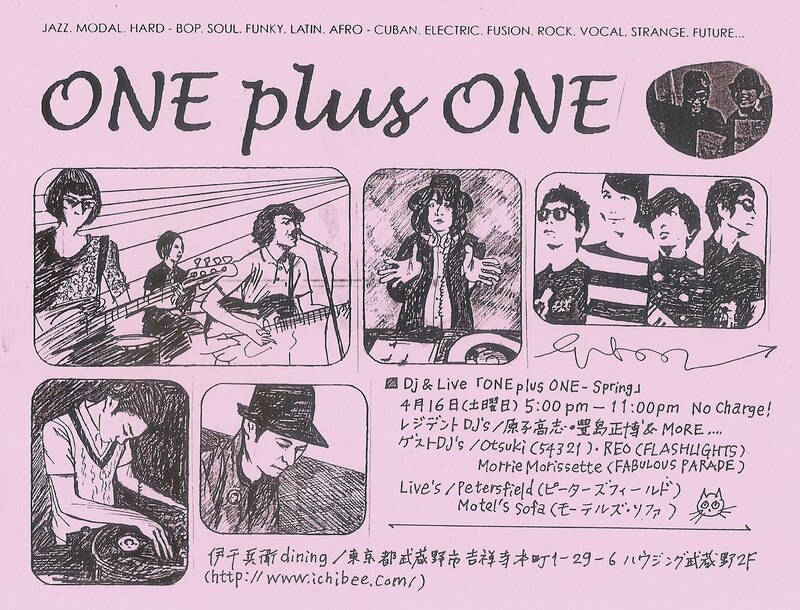 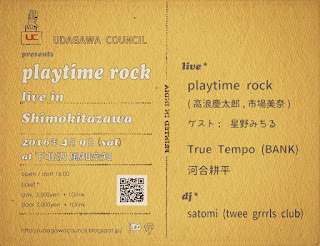 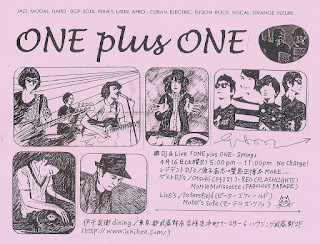 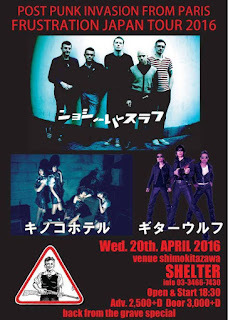 With the Golden Week holidays coming up, the Tokyo gig scene is going into overdrive! 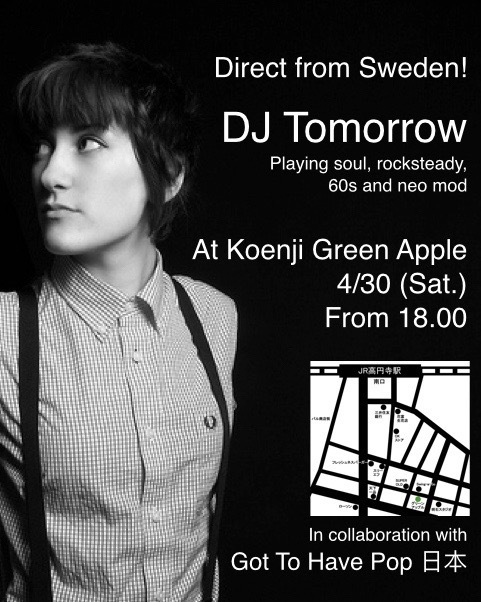 If it's all too bewildering, just come to Green Apple in Koenji on Saturday for a relaxing evening of soul, rocksteady and mod with DJ Tomorrow - direct from Sweden! 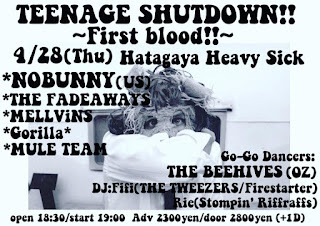 With The Fadeaways and NoBunny from San Francisco! 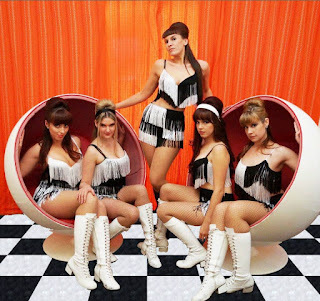 BURLESQUE RESTAURANT with The Tassels and The Beehives from Australia! 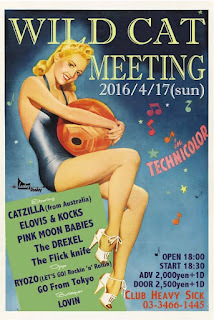 Mod gathering and scooter rally in Shinjuku! Dancing and bands with The Beehives go go troupe from Australia! 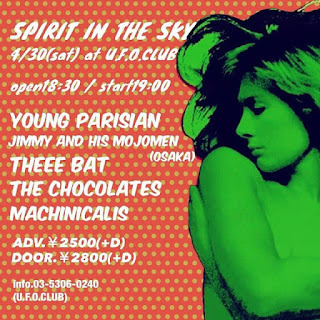 Spirit in the Sky at UFO Club with Young Parisian, Theee Bat and more! 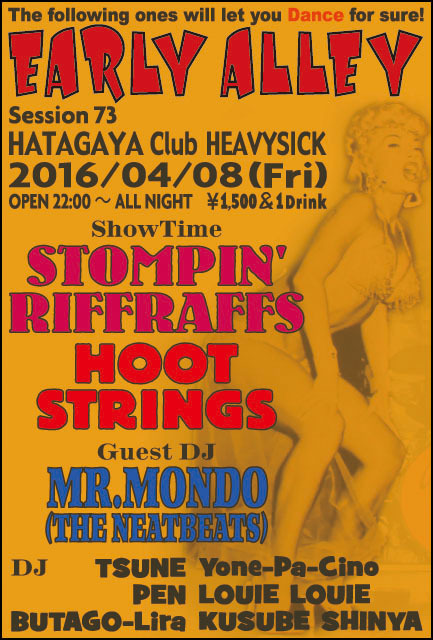 Dancing and bands with The Beehives from Australia! 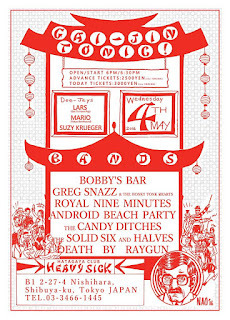 Foreign bands and DJs take over Heavy Sick! 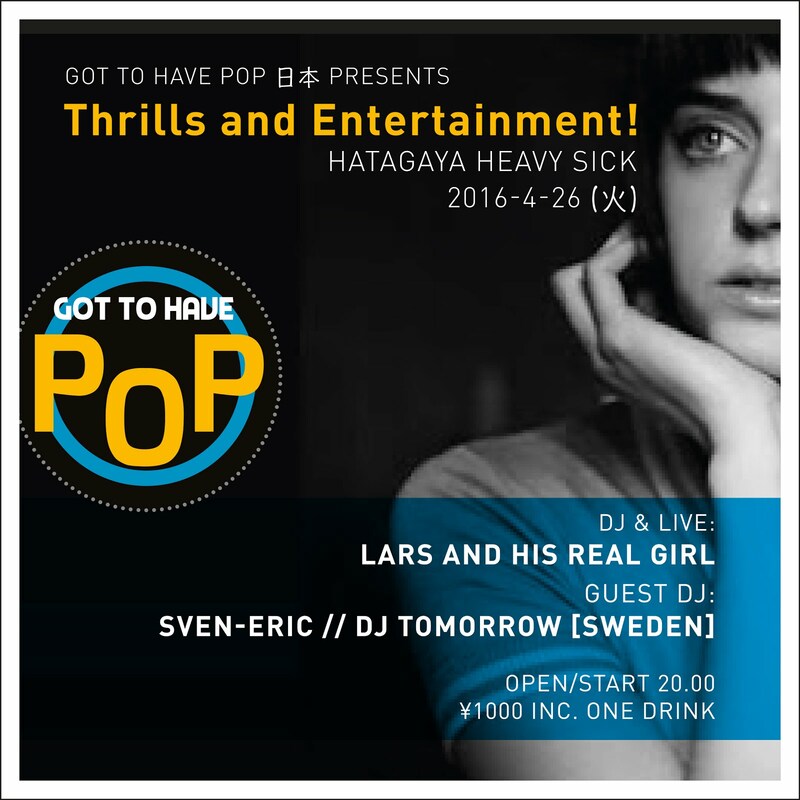 Thrills and Entertainment from Got To Have Pop regulars Lars and Mamiko, plus DJ Tomorrow all the way from Sweden at Hatagaya Heavy Sick! 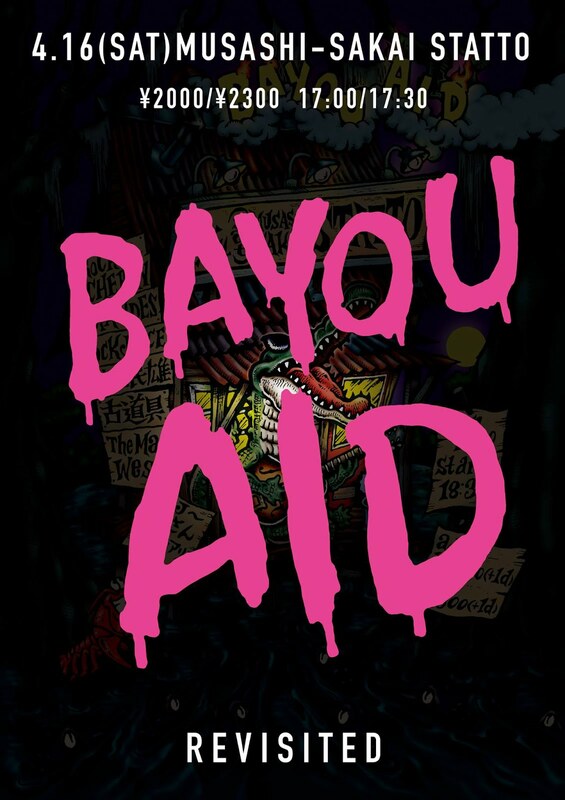 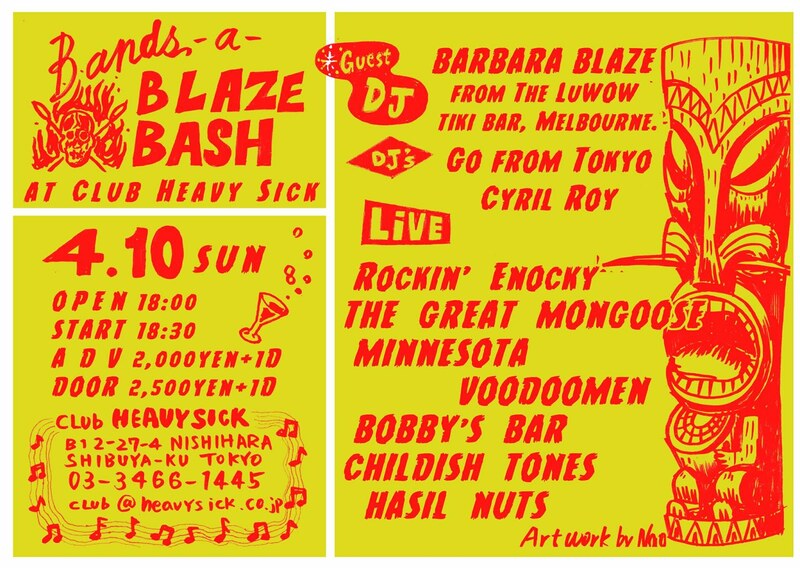 Post punk meets garage punk as Frustration from France and Catzilla from Australia mingle with Japan's You Got A Radio, The Neso, Fadeaways, Stompin' Riffraffs and many more! 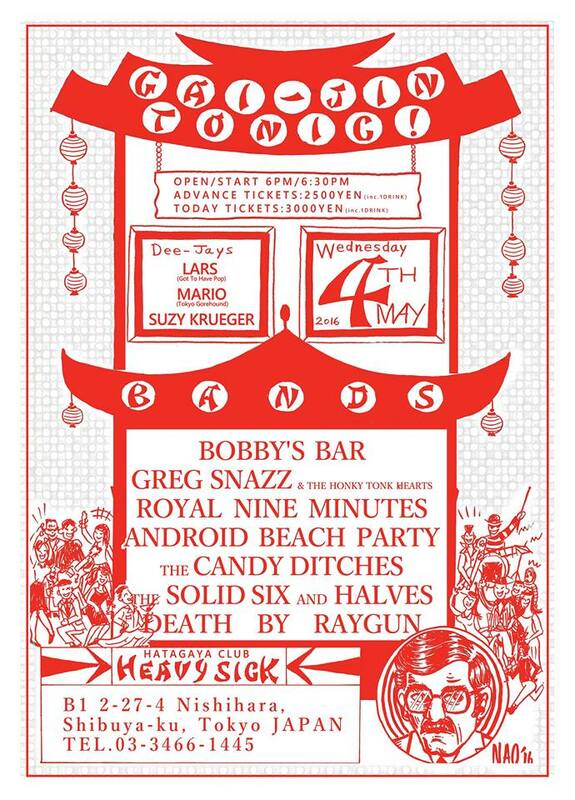 Starts at 5 pm at Heavy Sick for only 2000 yen advance! 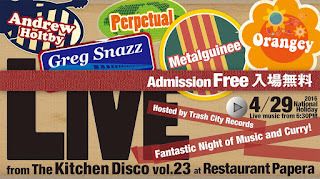 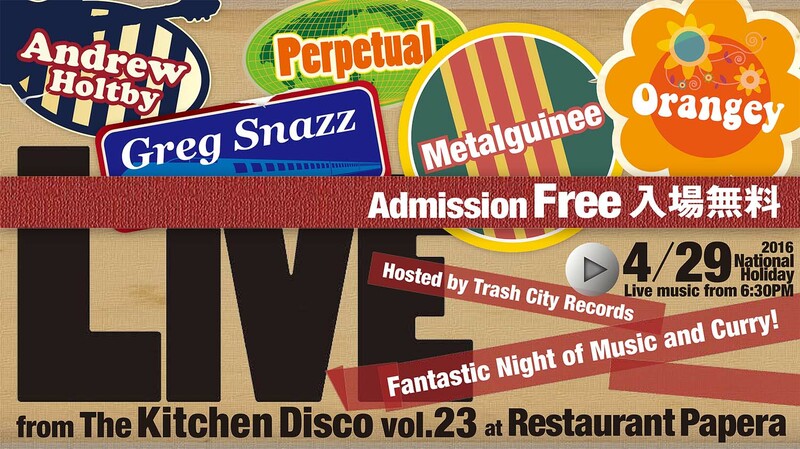 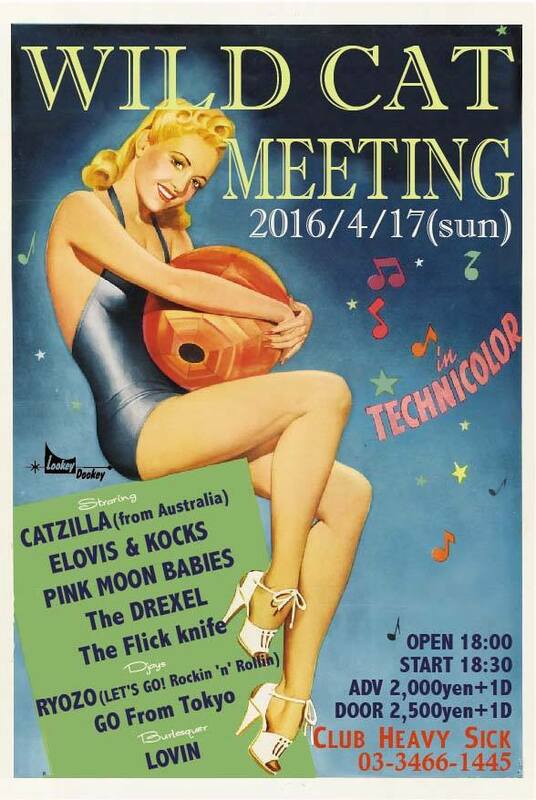 With Petersfield and Motel's Sofa at Ichibee Dining in Kichijoji - free entrance! 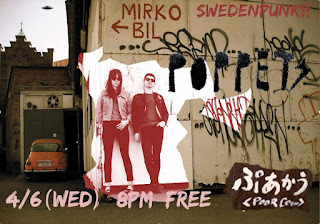 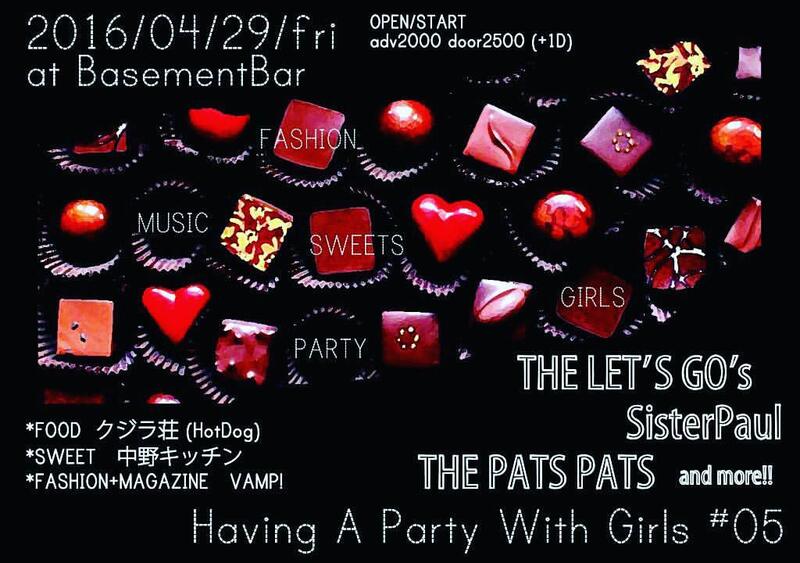 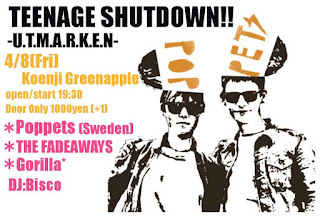 Garage punk duo Poppets come all the way from Sweden for a few gigs in Japan! 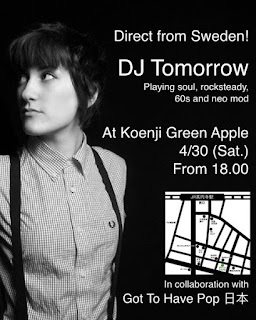 First stop: Poor Cow in Shimokitazawa! 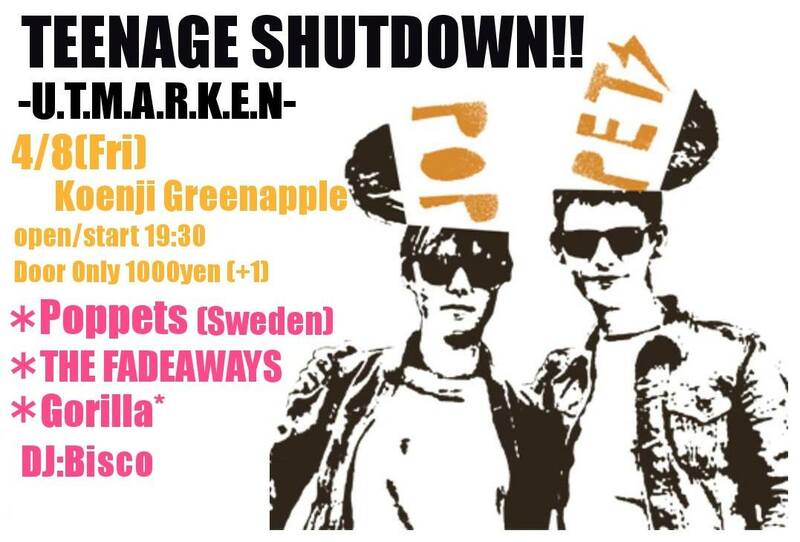 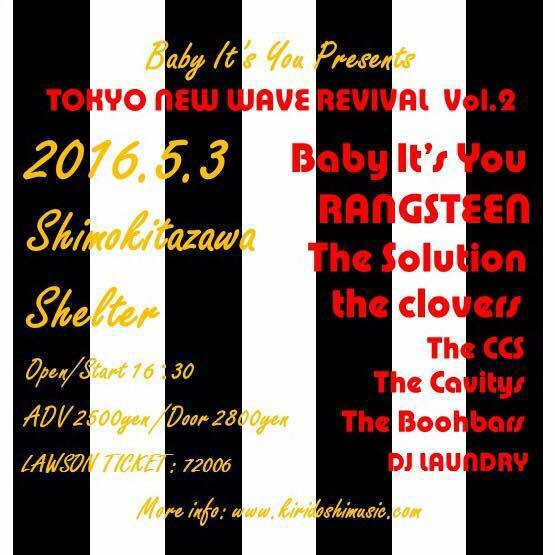 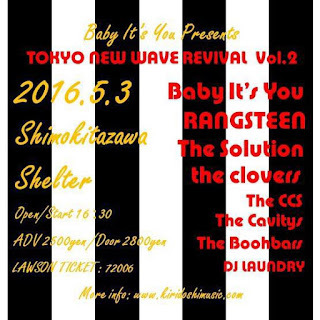 Another Poppets gig with Fadeaways and Gorilla at Green Apple in Koenji! 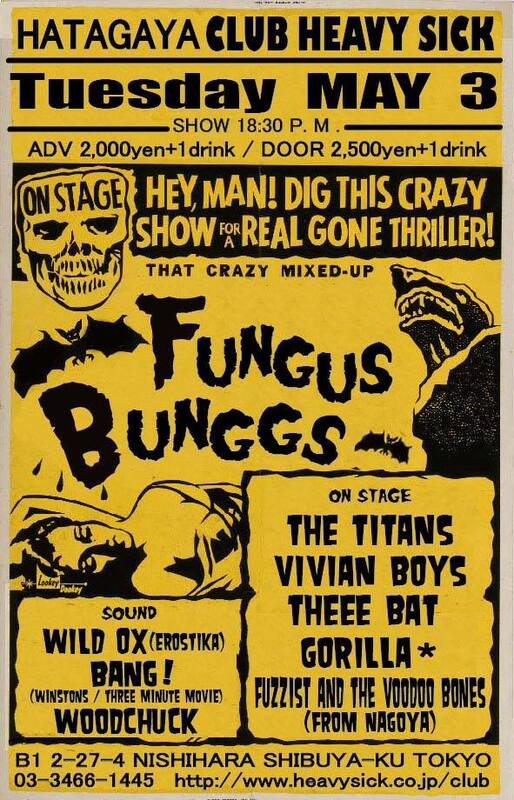 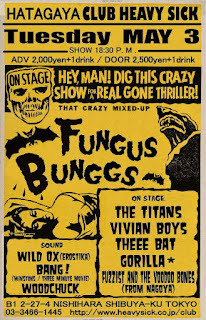 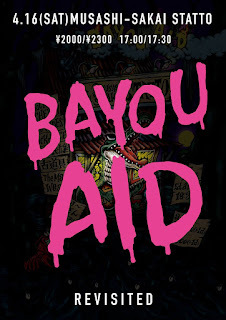 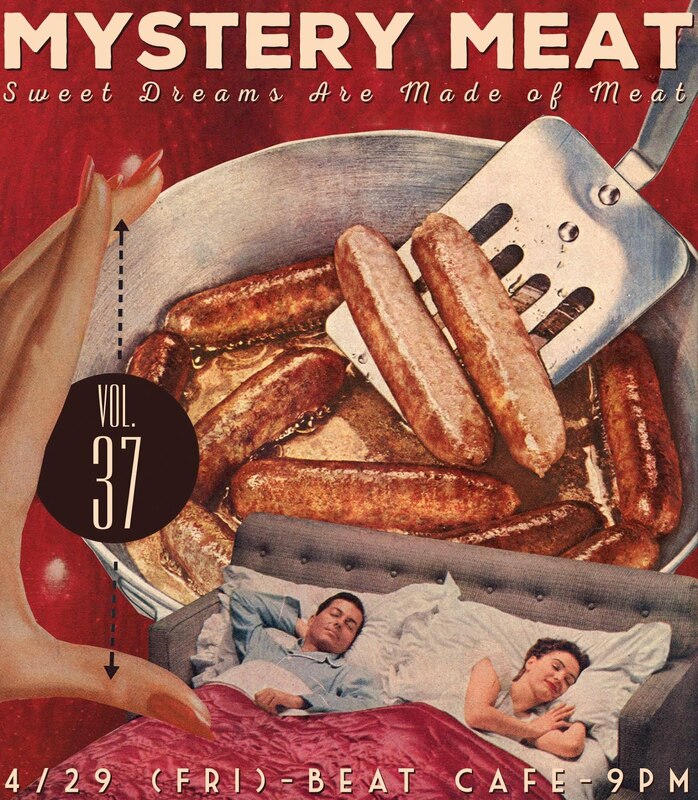 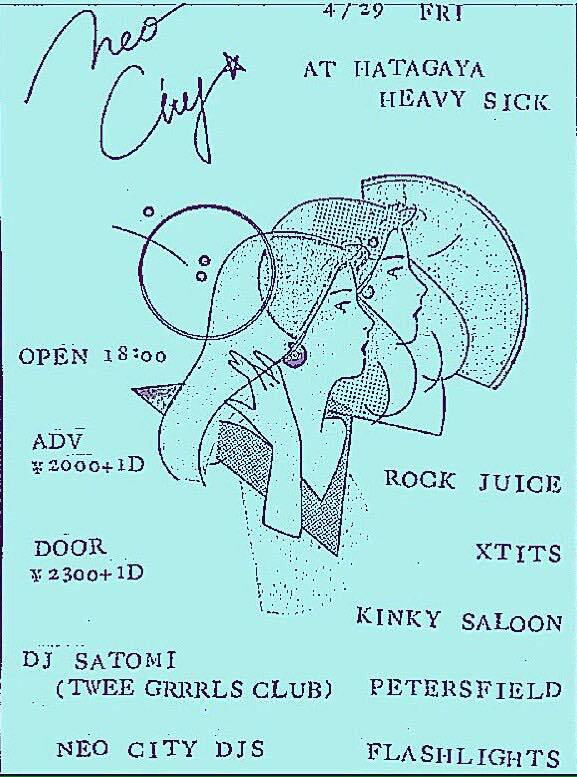 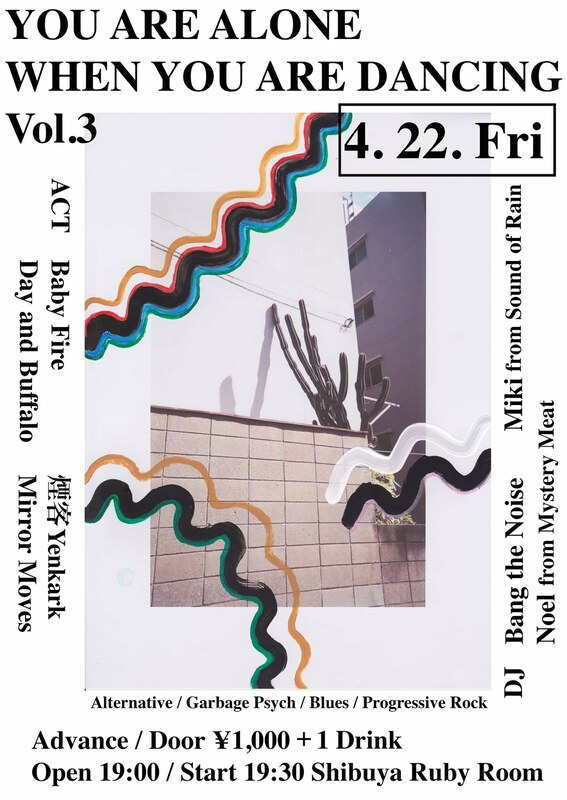 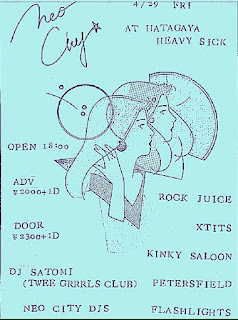 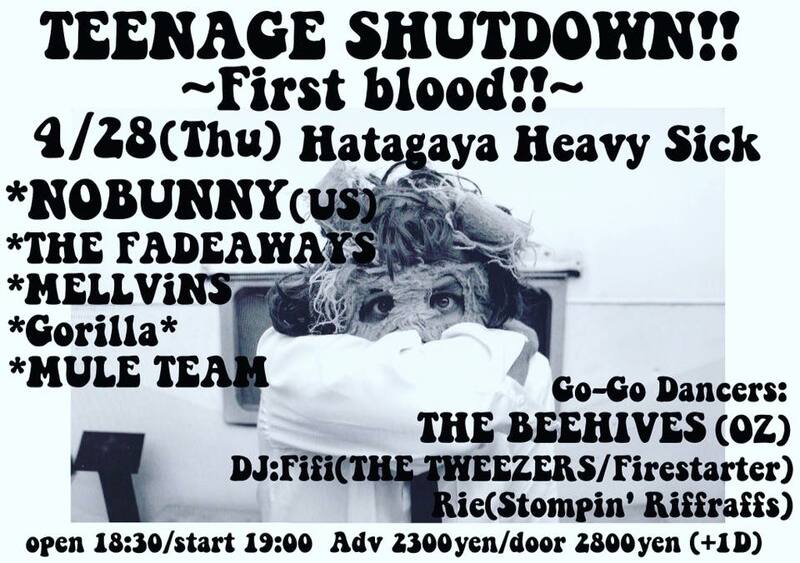 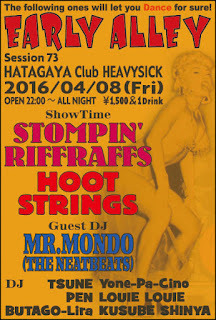 All-night madness with Stompin' Riffraffs and DJs at Hatagaya Heavy Sick! 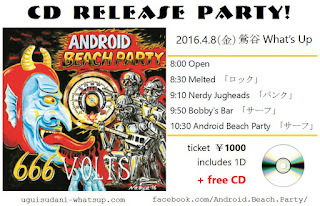 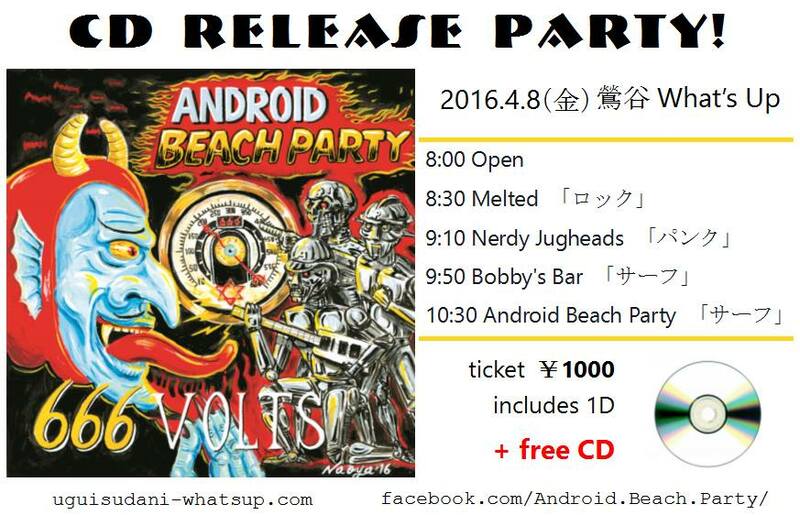 Android Beach Party CD Release Party! 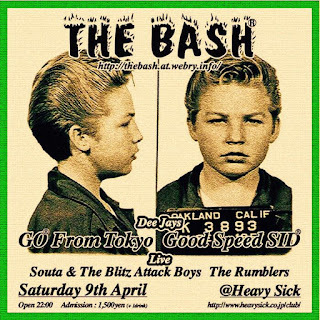 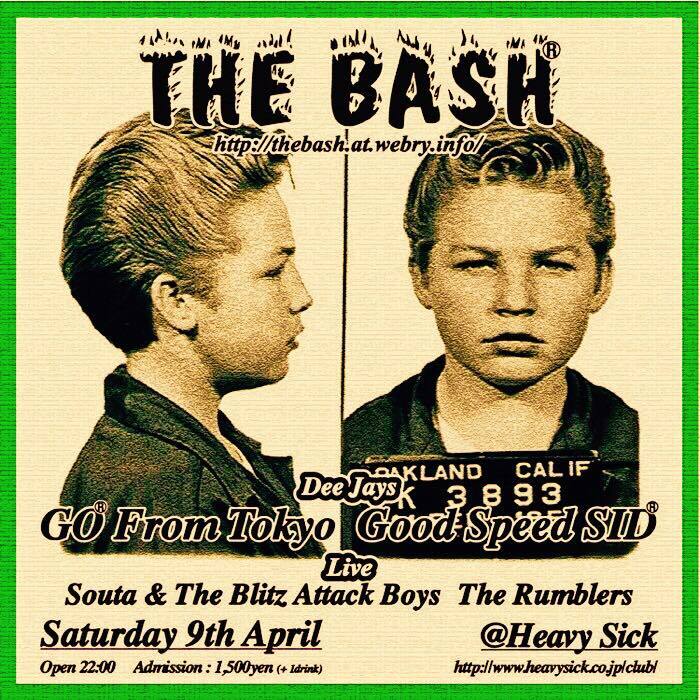 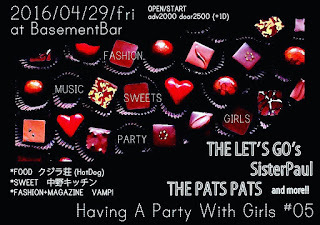 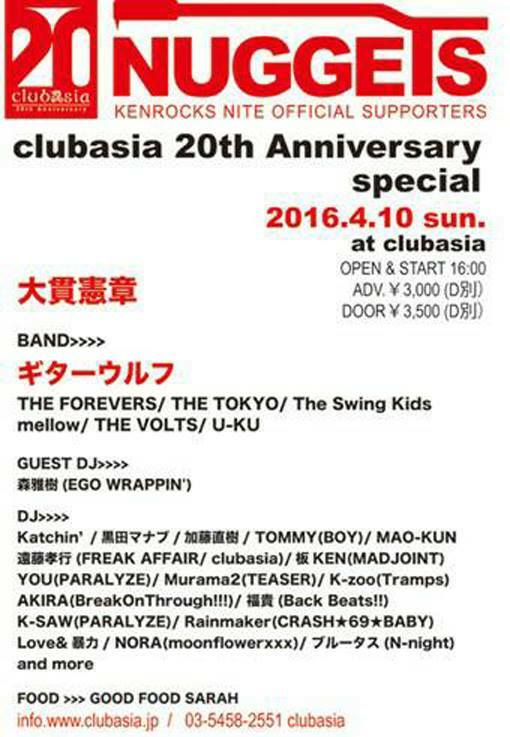 The BASH "Spring Fever Special" Blitz Attack Boys 1st Album release BASH!!!!! 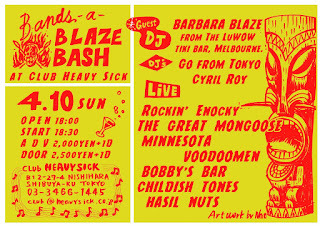 Including The Great Mongoose, Minnesota Voodoomen and DJ Barbara Blaze from Melbourne!